There are just two days left to shop the Kiwi Crate Flash Sale! Don’t miss your chance to save 50% off your 1st box from Kiwi Crate with Kiwi Crate coupon code FIRST50. 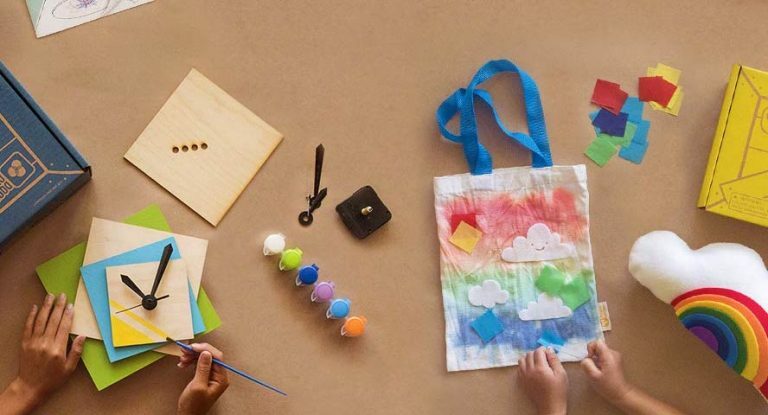 Kiwi Crate delivers monthly hands-on activities boxes for kids with all the materials needed for fun arts, crafts, and science projects. During the Kiwi Crate Flash Sale, you can save 50% off your 1st box from Kiwi Crate when you use code FIRST50 at checkout. The discount applies to ALL of the Kiwi Crate family subscription boxes. Just choose the Kiwi Crate subscription box that fits your child’s age and interests and subscribe today. 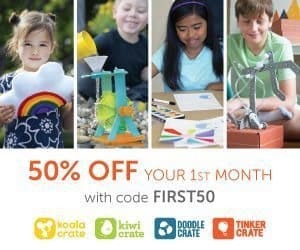 Join Kiwi Crate today and use code FIRST50 to claim your 50% discount off your 1st box from Kiwi Crate. Offer expires August 19, 2016. This deal is valid for any Kiwi Crate family brand.